We as a timing belt pulley manufacturer has widespread our network to the international edges by means of the cutting edge technology and excellence. Our range of the timing belt pulley has already established good position in India for delivering outstanding performance and cost efficient concern. 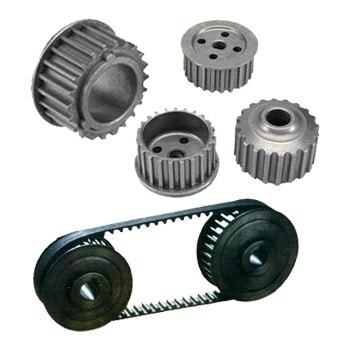 The offered timing belt pulley is suitable for any type of machine and promises for smooth and efficient power transmission, available in the largest specification range in India and overseas.